South American alternative rock/electronica band The ReaKtion have released their lyric video for “Ten Steps to Success“, the debut single off of their upcoming album SELKNAM. Produced by Gggarth (Rage Against The Machine, Red Hot Chili Peppers, Biffy Clyro) and Futcher, with additional production on the song “Ten Steps to Success” by Sid Wilson (#0, Slipknot), SELKNAM has a yet to be determined release date. The guys are planning the album’s promotion with Sid Wilson’s management company, M2P8Ent, with whom they signed in February 2015. As well, The ReAktion is working on their upcoming tour with Otep, scheduled for this summer, through 3THIRTEEN ENTERTAINMENT GROUP. The ReAktion is a South American, alternative rock/electronica band from Santiago, Chile. Formed in 2010, the band developed a unique sound based on elements of rock, metal, and electronic music. Conceptually, The ReAktion deals with subjects such as social movements, environmental awareness, and unity, in an attempt to bring a message of consciousness revolution to the world. The band recorded it’s first Demo LP “Be(lie)ve in R(evol)ution” independently in 2011. During 2012 the band promoted their work through live shows and social media. 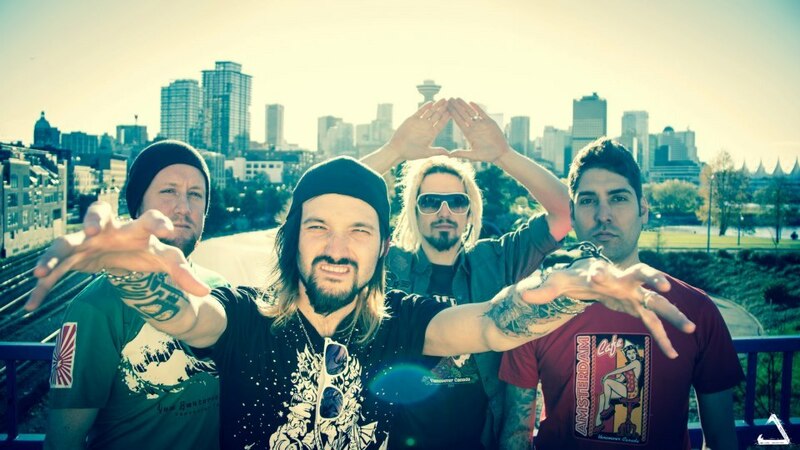 Later, in June of 2012, the band settled for a year and a half in Vancouver, Canada, where they met Gggarth and Futcher, who would take the guys under their wing to start production on their new album. The production and recording of the album took place in the Nimbus School of Recording and Fader Mountain Studios, where Gggarth would invite the mastermind behind Pink Floyd’s The Wall, Bob Ezrin, to contribute on the pre-production of “10 Steps to Success” with some of his students. Later, in 2013, the guys met Sid Wilson (#0, Slipknot), who visited them back in Chile after his show with Slipknot headlining Rock in Rio. On this visit, Sid would contribute with additional production on the song “Ten Steps to Success” and would begin conversations to finally sign the band to his management company M2P8Ent in 2015.